We have a lot available! 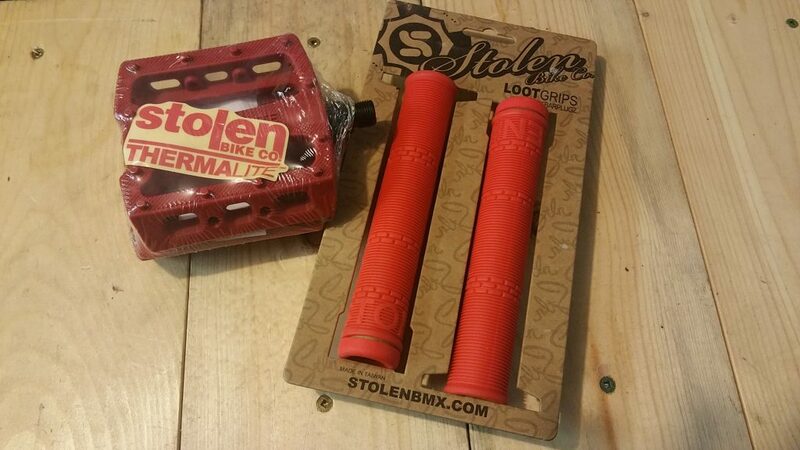 Come check out our newest bikes and accessories! 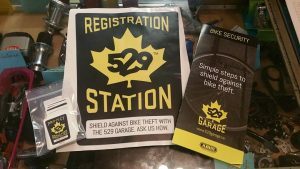 We offer complimentary Project 529 registration with every bike we sell. This Brodie Section 7 just came in. Perfect cruiser bicycle for those who want to take things leisurely. $500, new condition. 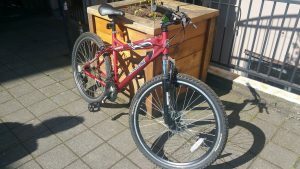 One of two Mongoose trail bicycles, size small. $150 each! 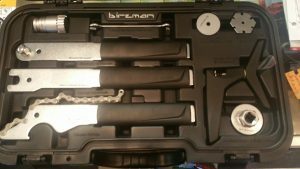 We have in stock one Birzman complete travel tool kit, which retails for $375. 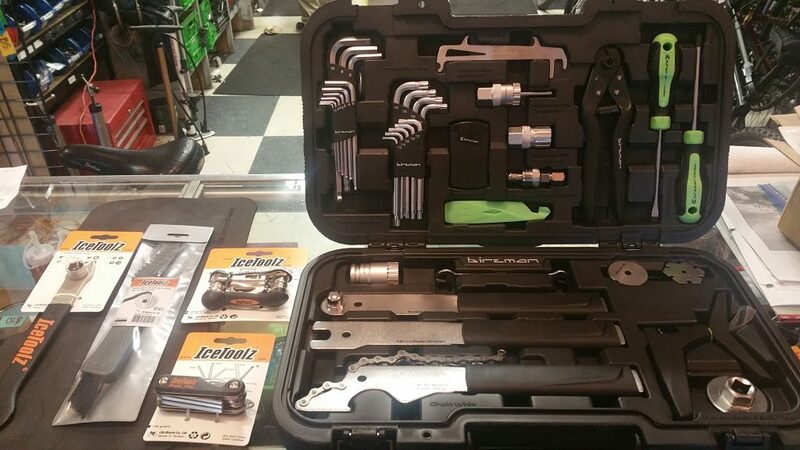 Everything you need for today’s bicycles in one handy kit. 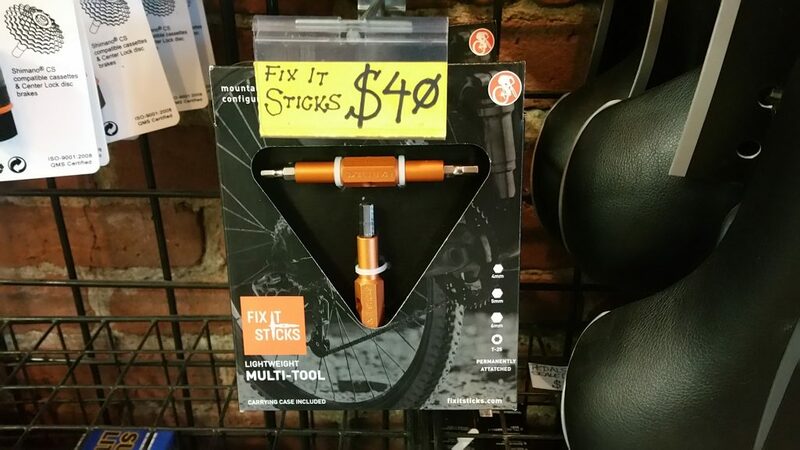 Way cheaper and more convenient than buying each tool one at a time! Birzman travel kit: closeup of the top version. Birzman travel kit: closeup of bottom version. 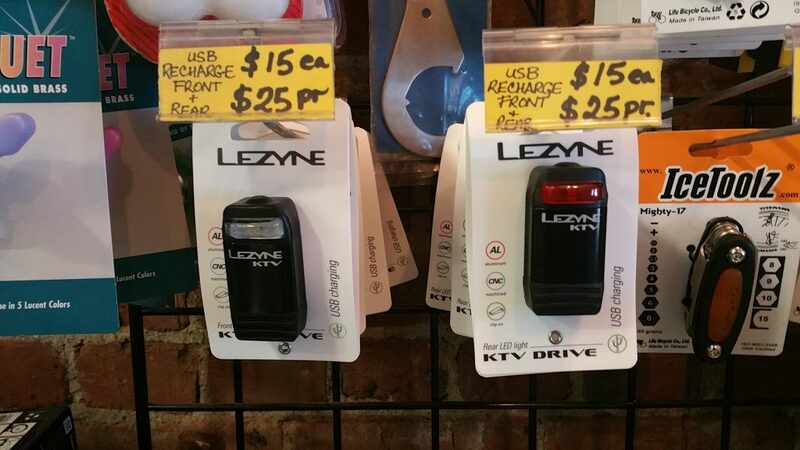 Chain Reaction had a sale on these Lezyne USB rechargeable lights, so we’re able to offer them at an incredibly cheap price – $15/light or $25/pair. 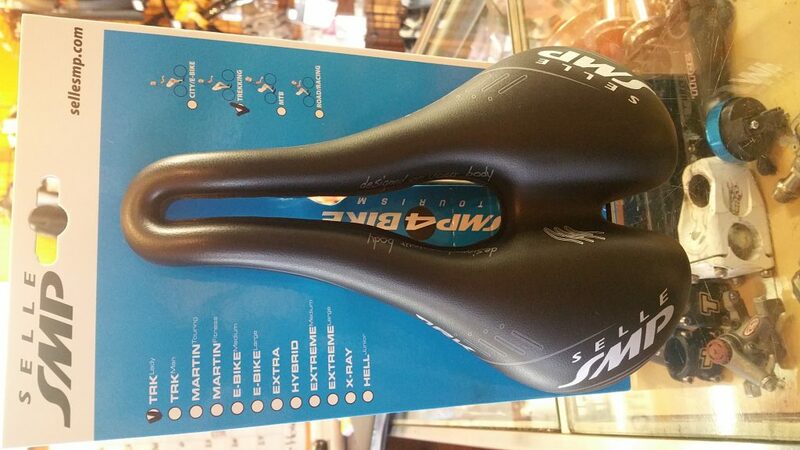 The SMP Trekker saddle comes in Mens and Womens and provides lots of space where you need it most. 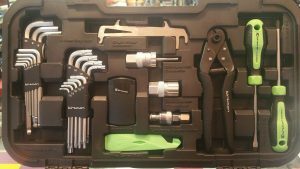 Retails for $80. If you have a single speed bike, you can trick it out with the matching chain, too. We have red, blue, yellow, lime, pink, orange, and purple as well as basic black.